The release date of Redmi note 6 pro in india has not been decided but the specification and price ranges of the note 6 pro has been released. Read the articles to know all about your queries regarding redmi note 6 pro . 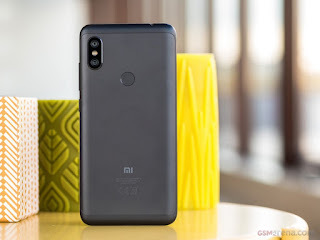 • LAUNCH - Xiaomi has already Announced that the First flash sale of the Redmi note 6 pro will be started in the October but there is no official announcement of the exact release date. 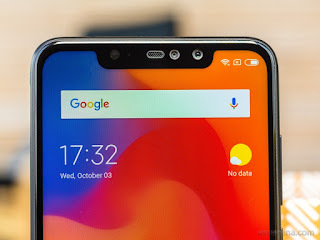 • DISPLAY - It will come with a 19:9 ratio full Ips LCD notch display(6.26 inches) having resolution of 1080×2280 pixels. The display is protected by Corning gorilla glass. • OPERATING SYSTEM -Redmi note 6 pro will come with Android 8.1(oreo) Os and has Qualcomm Snapdragon 636 chipset with 1.8GHz octa-core kyro 260 processor. 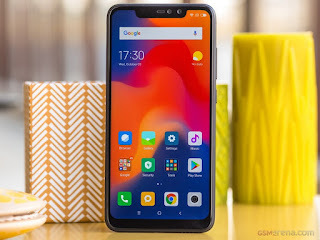 • MEMORY - Redmi note 6 pro has 4/6 GB RAM Variant with 64Gb ROM and 3GB RAM Variant with 32GB ROM. However storage is expandable upto 256GB Using micro Sd card. • REAR CAMERA - it has dual rear camera of 12 & 5mp. 12mp camera has aperature of f/1.9 For high quality images while 5mp camera has aperature of f/2.o for depth sensing and bokeh mode. It has dual led flash in the rear. You can shoot video upto 1080p quality. 4k Recording is still absent. • FRONT CAMERA - Redmi note 6 pro will come with dual selfie camera of 20+2mp. 20mp camera has aperature of f/2.0 for high quality selfie while 2mp Camera is for depth sensing. • SOUND - It supports 3.5mm jack. There is a secondary mic for noise cancellation. It supports mp3,wav etc. • BATTERY - Redmi note 6 pro has decent 4000mAh non-removable battery. It will support upto 7-8hrs with moderate usages. • PRICE - The price will vary from 17-19k(200 eur). • CONCLUSION- In my point of view if you are searching for a good budget phone under 20k, then you should go for it. You may buy Redmi Note 5 pro If your budget fits under 15k. Snapdragon 636 processor with 4000mAh battery makes it a beast for heavy users and gamers. However after release is announced , it may be available at Flipkart at flash sale. I love it... give me the purchasing link. 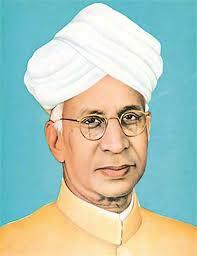 We celebrate Teacher's day on september 5 every year as the birth day of Dr. Sarvepalli Radhakrishnan(1888-1975). He was the first vice president of Independent India. The word 'Teacher' may be a word that you can find in any dictionary but the emotion hides behind these word is greater than anything else. As a Human, We need a teacher in our life who can show us the right path to choose, right work to do, right feelings to show. So Teacher is regarded as the living god on Earth. History of Dr. Sarvepalli Radhakrishnan: On 5th sptember,1888 Dr. Sarvepalli Radhakrishnan was born in a telugu speaking Niyogi bhamin family in a village called Nellore, which is fifteen miles far from Andra pradesh. His primary education was at K.V High School at Thiruttani. EDUCATION:He was awaded Scholarships throughout his academic life. He got his Master's degree in Philosophy from Madras christian college in 1906. Boruto episode 68 will be released on 9 Aug,2018. In episode-68, the episode main theme will be based upon cho-cho (choji's daughter). So stay tuned and lets wait episode 68. I am also very exited for the upcoming episode. 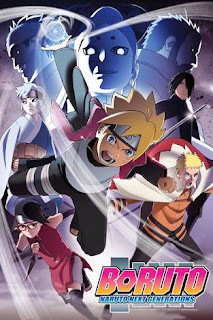 If you haven't seen the boruto ep- 67, then CLICK HERE . If you have any queries, then do comment . Subscribe to Being 360 , to get further post updates.